As a Morgan Stanley Wealth Advisor team, our mission is to assist clients with their unique wealth planning and investment management needs. We are professional advisors who conscientiously address the known and unknown needs of our clients, helping them accomplish those goals. We draw upon our experience, knowledge, education, and professional training to bring the best of Morgan Stanley to our clients – serving all of their investment and wealth planning needs.The Tambellini Bernacki Team builds trust and earns long term relationships by being accountable to our core principal values:• Integrity – put the client’s needs first• Service – anticipate the client’s needs and help prevent problems• Competence – strive to preserve wealth and control risk firstOur team approach provides several competitive distinctions that begin with experience, longevity and accessibility:• All advisors are fully informed and involved in every client’s portfolio – beginning with its construction and continuing with its ongoing maintenance and rebalancing.• We hold face-to-face client meetings to discuss quarterly or semi-annual performance and review and update their personal Wealth Plan.• Our standardized process for portfolio creation includes consideration for every asset class. Our dynamic and systematic investment approach reacts to the ever changing business environment and leverages the vast intellectual capital and information flow from Morgan Stanley. Whether you’re planning for your retirement, to fund education for your children or grandchildren, to buy a vacation home, to develop an income and asset protection strategy, or to address health care needs, you need a wealth planning strategy that will serve as a roadmap to your future. Leveraging Morgan Stanley’s vast resources – intellectual capital, industry leading investment platforms, lending platform, and planning related subject matter experts – we can work with you to create a personalized wealth strategy. Then, over time, we can adapt it to changing circumstances, helping you to achieve – and to protect – your goals. Using our suite of tools – our LifeView® platform – we can create a wealth plan that coordinates your financial resources with your life goals and provides a baseline for future discussions. ?We believe that working as a team helps to provide you with access to the most appropriate solutions, and helps to ensure that you benefit from the highest levels of service. While we bring complementary skills and perspectives to our clients, we also share a commitment to responding to your needs promptly, professionally and thoroughly. Our goal is to earn your confidence not only through the quality of solutions we provide to you, but also the excellence with which we deliver them. We believe in maximum portfolio diversification. Our combined investment experience dates back to 1980, with experience and historical perspective in most investment market phenomena. Consequently, our investment style focuses on capital preservation as well as capital growth. Our investment philosophy is based on the full understanding of our client’s investment portfolio, total financial picture, and dynamic objectives. Our portfolio work focuses on our clients’ goals , aspirations, and risk parameters which are incorporated into a formal Wealth Plan using Morgan Stanley’s LifeView® planning software. We develop a tailored, comprehensive asset allocation strategy that incorporates all major sub asset classes. Our investment process is dynamic, based on economic conditions, market conditions, and client life changes. Ronald K. Tambellini is a Senior Vice President - Wealth Management at Morgan Stanley in Pittsburgh. 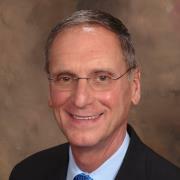 Ron serves as Wealth Advisor, Senior Portfolio Manager and Senior Investment Management Consultant at the firm. He is the senior member of The Tambellini Bernacki Team at Morgan Stanley located in Morgan Stanley's Pittsburgh Downtown Office, serving clients on a national scope. Before joining Morgan Stanley (Formerly Dean Witter) in 1994, Ron served as Vice President - Investments at Kidder, Peabody & Co., beginning in 1980. Ron has more than 35 years of experience in diversified portfolio advice, portfolio management, and investment planning. Prior to 1980, Tambellini served as Vice President - Finance at closely held Tambellini Foods, Inc., and as financial analyst at Ford Motor Company. Ron earned his MBA degree in Finance from Penn State University in 1977, after graduating from Northwestern University in 1974 with a BA in Psychology. Ron has the Certified Investment Management Analyst (CIMA) designation from the Investment Management Consultants Association. Ron lives with his wife, Mary, in Mount Lebanon, PA and enjoys running, exercise, golf, classical and new music, art, and theatre. Ron and Mary have a son, Jess, residing in New Jersey, a daughter, Lea, son-in-law, Danny, and grandson, Louis, residing in Pittsburgh, and a daughter, Cara, son-in-law, Aaron, and granddaughter, Vera, residing in Los Angeles. Ron, Mary, and their children have all completed running marathons. Henry J. Bernacki is a Vice President, Wealth Advisor with Morgan Stanley in Pittsburgh, joining the firm in 2001. Henry earned his BS in Business Administration from Duquesne University, with a major in Finance and minor in Accounting. 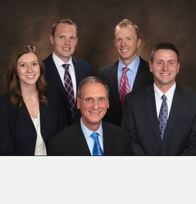 In April 2002, Bernacki earned the Wealth Advisor designation. Henry collaborates with Senior Vice President and Wealth Advisor, Ron Tambellini, on assisting clients with portfolio asset allocation, investment planning, portfolio implementation, and all areas of financial planning. In 2007, Henry received the CERTIFIED FINANCIAL PLANNER™ (CFP®) certification. Henry is committed to the growth of The Tambellini Bernacki Team’s clientele through his marketing efforts and business building practices. Henry currently resides in Cranberry Township, PA with his wife Anne, and their three children, Isabelle, Henry, and George. Henry is an avid golfer and has a new passion for running. He completed his first marathon in Pittsburgh in 2015. John Jones is a Financial Advisor and Financial Planning Specialist with Morgan Stanley, having joined the firm in January, 2011. John graduated with a BS from the University of Pittsburgh in 2000 where he was recognized as a University Scholar. Prior to Morgan Stanley, he worked in a sales and business development capacity for three Fortune 500 biopharmaceutical companies (Sanofi, Wyeth, & Thermo Fisher Scientific) where he received several national sales awards. Today, John focuses on expanding the team’s diverse clientele which includes corporate executives, attorneys, physicians, and business owners. John collaborates with Ron, Henry, and Consulting Group Analyst, Matthew Ruffalo, in the development and implementation of investment portfolio strategies. He also assists many of the team’s clients with their wealth planning needs. Specifically, John develops Wealth Plans that integrate each client’s unique corporate benefits (insurance, retiree medical, retirement savings, etc.) to address their financial needs, goals, and aspirations. John lives in Allison Park, PA with his wife, Kelly, and two children, Mia and Brady. In his free time, he enjoys staying physically active, spending time with his family and friends, and coaching his children’s youth basketball teams. 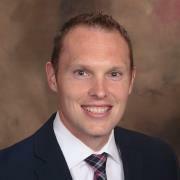 Matthew R. Ruffalo is an Assistant Vice President, Consulting Group Analyst with Morgan Stanley in Pittsburgh, who joined The Tambellini Bernacki Team at Morgan Stanley in May 2004. 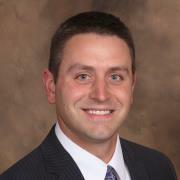 Matthew earned his BA in Economics from Fordham University, with a minor in Business Administration. Matthew participates in overall business development of clientele by working closely with Ron and Henry on client reporting, marketing strategy, portfolio analysis, portfolio maintenance, trading, and implementation. 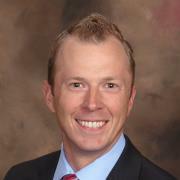 Matthew is also responsible for tailored presentation materials and performance measurements of client accounts. Matthew provides ongoing attention to client portfolios and consistently monitors the investment and manager universe available to clients of Morgan Stanley. Matthew currently resides in Upper St. Clair, PA with his wife Jessica and their daughter Riley. During the winter months, Matthew enjoys skiing. He is also an avid Steelers, Penguins, and Pirates fan. 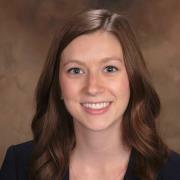 Hannah Williams is a Registered Client Service Associate with Morgan Stanley in Pittsburgh, joining the firm in 2013. Hannah began working with The Tambellini Bernacki Team at Morgan Stanley in March 2015. Prior to Morgan Stanley, Hannah attended the University of Pittsburgh and earned her BA in Communication and Rhetoric with an additional certificate in Corporate and Community Relations. Hannah manages client requests on a daily basis and strives to provide quality service to the team and their clientele. Hannah lives in the Shadyside neighborhood of Pittsburgh. She enjoys spending time outdoors and maintaining an active lifestyle. Ready to start a conversation? Contact The Tambellini Bernacki Team today. 15CDs are insured by the FDIC, an independent agency of the U.S. Government, up to a maximum of $250,000 (including principal and accrued interest) for all deposits held in the same insurable capacity (e.g. individual account, joint account, IRA etc.) per CD depository. Investors are responsible for monitoring the total amount held with each CD depository. All deposits at a single depository held in the same insurable capacity will be aggregated for the purposes of the applicable FDIC insurance limit, including deposits (such as bank accounts) maintained directly with the depository and CDs of the depository. 16GlobalCurrency deposits are held at Morgan Stanley Private Bank, National Association ("MSPBNA"), Member FDIC. Morgan Stanley Smith Barney LLC and MSPBNA are affiliates. Morgan Stanley Smith Barney LLC is a registered broker-dealer, not a bank. Unless specifically disclosed in writing, other investments and services offered through Morgan Stanley Smith Barney are not insured by the FDIC, are not deposits or other obligations of, or guaranteed by, a bank and involve investment risks, including possible loss of principal amount invested. FDIC insurance does not protect against losses due to exchange rate movements. 19Investing in commodities entails significant risks. The commodities markets may fluctuate widely based on a variety of factors including changes in supply and demand relationships; governmental programs and policies; national and international political and economic events; war and terrorist events; changes in interest and exchange rates; trading activities in commodities and related contracts; pestilence; weather; technological change; and, the price volatility of a commodity. In addition, the commodities markets are subject to temporary distortions or other disruptions due to various factors, including lack of liquidity, participation of speculators and government intervention. 24Investors should consider many factors before deciding which 529 plan is appropriate. Some of these factors include: the Plan’s investment options and the historical investment performance of these options, the Plan’s flexibility and features, the reputation and expertise of the Plan’s investment manager, Plan contribution limits and the federal and state tax benefits associated with an investment in the Plan. Some states, for example, offer favorable tax treatment and other benefits to their residents only if they invest in the state’s own Qualified Tuition Program. Investors should determine their home state’s tax treatment of 529 plans when considering whether to choose an in-state or out-of-state plan. Investors should consult with their tax or legal advisor before investing in any 529 Plan or contact their state tax division for more information. Morgan Stanley Smith Barney LLC does not provide tax and/or legal advice. Investors should review a Program Disclosure Statement, which contains more information on investment options, risk factors, fees and expenses and possible tax consequences.